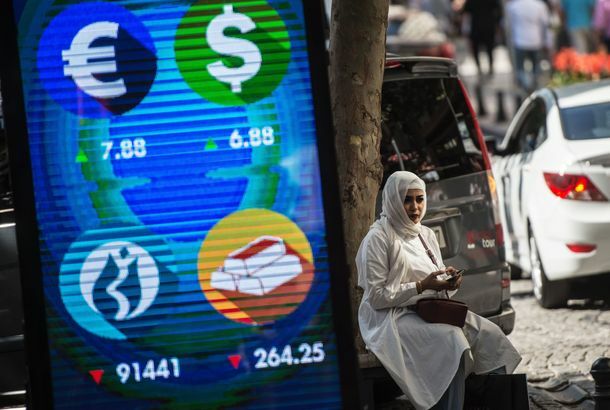 Turkey’s Economy Is on a Collision Course With Reality, & It’s Not Trump’s FaultErdogan’s easy money policy bought him his popularity, but his reluctance to shore up his currency could tank the Turkish economy. Mike Flynn’s Firm Made a Pro-Erdogan Propaganda Film While He Advised TrumpThe firm also attempted to hide its role in the film, which constituted the bulk of work it did on behalf of Turkey’s government. New Video Appears to Show Turkish President Watching Protesters ClashHe gets out of his car as the skirmish, which included members of his security detail, is unfolding. Erdogan Guards Involved in Brawl During Protest Outside Turkish Embassy in D.C.The State Department said it was “concerned” about the violent incident that happened while Trump hosted the Turkish president on Tuesday. Salt Bae Casts Meme-y Vote in Election Over Authoritarian Turkish RuleAdd a little pinch of … electoral participation. Kurdish Militants Claim Responsibility for Deadly Twin Bombings in IstanbulThe attack killed 38 people, including 31 police officers, and injured more than 160. Hundreds Dead, Thousands Arrested After Failed Military Coup in TurkeyThe Turkish government has regained control and begun a widespread crackdown on those it alleges are responsible for the uprising. Germany to Prosecute Comic for Mocking ErdoganA little-known German law takes a very, well, German approach to the question of whether it’s okay to ridicule representatives of other nations. Putin and Erdogan Still Hate Each OtherWait, you guys don’t like each other? The “not returning calls” and “shooting down planes” totally didn’t tip me off! Turkish Judge Asks, ‘Is Gollum Good or Bad?’A man’s fate relies on the answer. Putin Imposes Sanctions on Turkey Over Downed WarplaneMeanwhile, the U.S. is calling for Turkish troops to seal much of the Syrian border in order to combat ISIS. Erdoğan Wins Big in Turkish ElectionHe and his ruling political party have regained their parliamentary majority in the troubled country after a deeply divisive campaign.